Through the fire, flames, and intense battles, we’re down to four of the most feared villains in RPGs. Let’s meet the semifinalists. After plowing through the competition, these two finally met a worthy opponent. 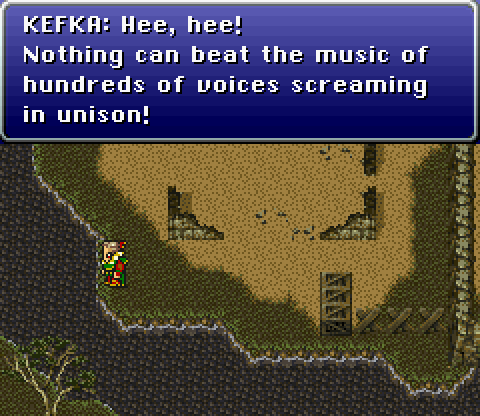 Kefka was quick on the draw, jumping out to an early lead. Zanza made a couple of pushes to tighten things up, but Kefka was just too much for him. The Bionis has fallen, and Kefka stands tall. Well, Chrono Trigger fans certainly showed up to vote in this tournament. While I’m sure there’s at least one reader who could do an entire thesis paper on why Mithos is the better villain, it doesn’t come down to one person (necessarily). Many more people liked the style Magus provided—therefore, Magus is moving on. And the experiment is defeated by the parasite. 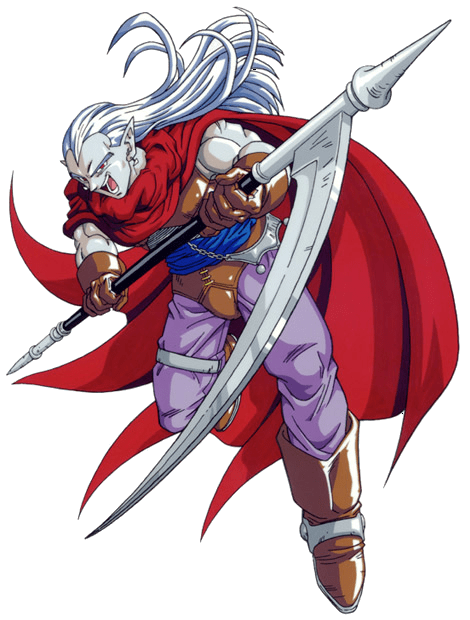 Sephiroth was considered a contender to overall number 1 seed Kefka before the tournament. However, he never quite found enough favor with voters to make a convincing argument once everything began. 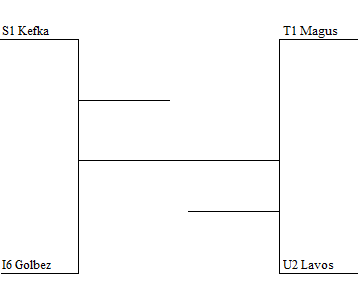 As for Lavos, his anger over losing the final number 1 slot was validated in this round as he drained any hope of a Kefka-Sephiroth final. Down goes Giygas! Down goes Giygas! 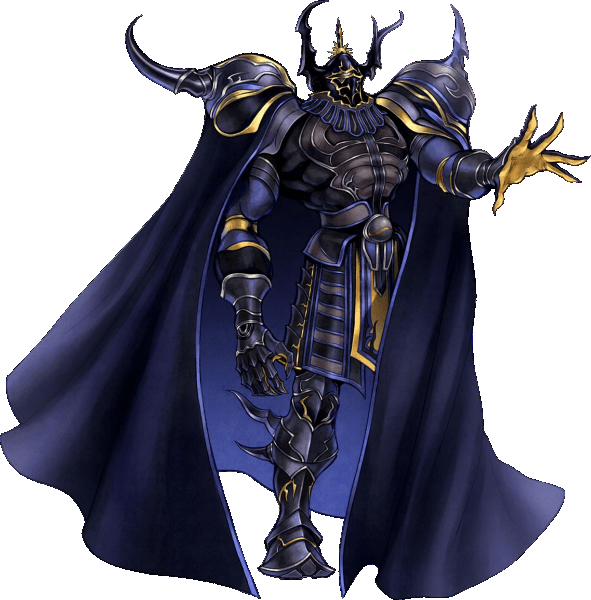 The EarthBound villain, the alien considered the “embodiment of evil” by some and who gave us one of the most disturbing boss fights in the history of video games, has been defeated by Golbez, the sorcerer from Final Fantasy IV, as he takes the lead in the final hours to secure the victory. With this win, Squaresoft is going to have a winner in this tournament. 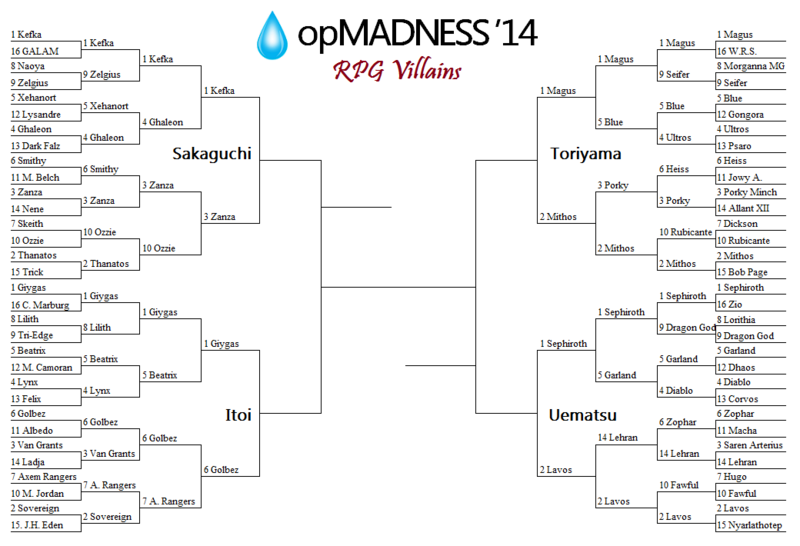 No matter how this round ends, we will have a match-up between Final Fantasy and Chrono Trigger. First, we have the self-centered, nihilistic, pompous, arrogant, hate-filled overall number 1 seed in the RPG Villain Tournament—KEFKA! And his opponent, an opportunistic sorcerer who seeks to sabotage any plans you try to make, a man who trounced not only a top leader of evil generals, but unfathomable evil itself to get here—GOLBEZ! Over on the Chrono Trigger side of things, you have a man taken from his time and stripped of his conscience as he tries to not only find his sister, but take care of the creature that did this to him—MAGUS! And his opponent, the alien that made his life a living hell, someone seeking to not only destroy his opponent once and for all, but make the selection committee pay for not giving him a number 1 seeding—LAVOS! Ladies and gentlemen, these are your Furious Four. Two will move on to find out who is the best. Who will it be? We’ll know for sure Friday night at midnight PDT.